It’s not a perfect world and sometimes we fall victim to serious financial distress. This can become a nightmarish situation for homeowners who are unprepared and suddenly find themselves faced with foreclosure on their home. If you’ve found yourself facing this situation, don’t panic. You’ve already taken a proactive first step in seeking some answers to the issue at hand! Do not ignore this foreclosure. It’s not uncommon for people to panic when faced with such a serious situation, but this isn’t something that is going to go away if you don’t look at it. If you find yourself facing foreclosure on your home in Orlando, it’s time to face the music and take action! Be proactive about a solution. This is not the time to be prideful or even discreet; it’s time to get out there and seek help. Foreclosure is public information so people are going to find out either way. Don’t spend time fretting about what others may think, if you know someone who can help, be proactive and seek their advice. Listen to your lender. In a foreclosure, your lender will have the upper hand. So what should you do? Even if you believe they’re being unfair in their demands, you need to communicate with them. They want their money and they may be open to getting creative if you’re willing to work with them. This is your best chance at getting your home out of foreclosure. If someone offers you the option of putting their name on the title, say no. This is not a viable means of avoiding foreclosure, and is usually a scam. Do not procrastinate! We’re just re-hashing point #1 here, but that’s because this is essential! The longer the foreclosure process drags on, the more expensive things will become for you. By acting immediately, you will have far more options available to you. 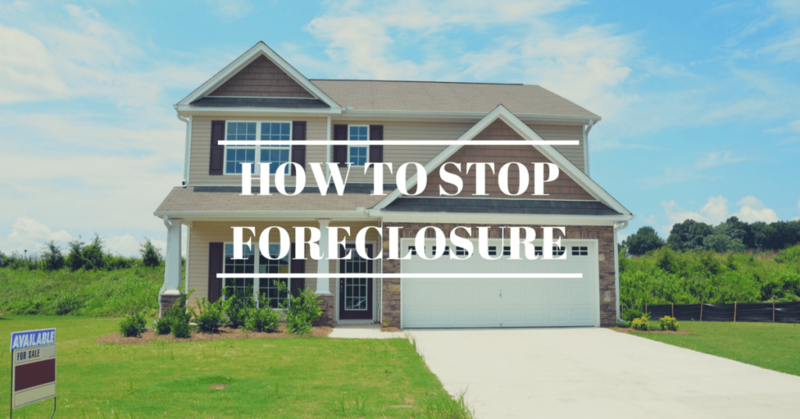 Keeping this advice in mind, let’s dive into our detailed plan of action that can help you stop a home foreclosure in it’s tracks. Also view the difference between a Short Sale and Foreclosure. If you’ve missed your mortgage payment(s), it won’t take long for a lender to realize you’re in default. While they’ll inevitably contact you about it, we recommend calling your lender as soon as your predicament starts to unfold. If you can’t make your mortgage payments, it may not hear anything from your lender for a while. Unfortunately, many Orlando homeowners take this as a blessing and simply leave things alone. Please don’t make the same mistake! Your lender may not contact you for several months, but rest assured they will call you eventually. If you wait and do nothing, this serious situation will only be that much harder to resolve and you may have fewer options. Explain the situation to your lender, and see what advice they have to offer. Home foreclosure is expensive for them, so they’ll want to take steps to avoid it if possible. You may be able to come to a mutually beneficial agreement. Keep in mind that this doesn’t mean they’ll be keeping your best interests in mind either. We recommend having a real estate attorney or local housing counseling agency, that has been approved by the U. S. Department of Housing and Urban Development, review any agreement before you sign. To find a local HUD-approved housing counseling agency, you can visit www.hud.gov or call 800.569.4287. If you fail to work out a resolution plan with your lender, the lender will schedule a public foreclosure auction of your home. The timeline in Florida varies widely. If you choose not to hire an attorney, home foreclosure timelines run 6 months following your last mortgage payment. For those who hire an attorney, this foreclosure timeline can extend for more than 4 years. If you’ve reached this point, find out precisely how much time you have left before you lose your house. This is another reason why communicating with your lender is so crucial. Your lender will be able to tell you whether a public foreclosure of your home has been scheduled, and on what date it would take place. Of course, that conversation is the ideal time for you to ask what you need to do to stop that sale. While the potential foreclosure sale is the most important deadline to know, there are also a number of smaller deadlines that are important to bear in mind. In some states, foreclosure proceedings are conducted through the courts, so you may need to appear in court during the process. Since a judge would be deciding whether the foreclosure sale will indeed happen, it is essential that you and your attorney be at those court dates to present your case. As mentioned earlier, you have some options when you are in default. The following are potential solutions that can stop a foreclosure process, depending on the homeowner’s unique situation. A lack of cash can be remedied by more frugal spending or an increase in income. These were likely things you considered and attempted long before you got to this point. That being said, it never hurts to reexamine these topics and check for any overlooked areas of potential improvement. Write down your family’s exact spending for a week or two. Make a list of your monthly bills. Rank them in order from most to least important. T.J. Marrs, national real estate author, speaker and success coach even takes things a step further and recommends that you even let your car payments fall behind before you let your mortgage do so. “Late mortgage payments will negatively affect credit more than just about anything,” he says. Also, be open-minded when it comes to seeking out additional income. If you’ve lost your job and are searching for a new one, consider getting a temporary position while you search– even if it’s far below your level of qualification and/or doesn’t pay particularly well. Some money is better than no money! Marrs stresses that you should only consider the two options above if your situation is less dire. For example, if you lost your job, were unemployed for a few months, and are now back to work but behind on your bills this might be a good idea. However, if things are really bad for you, a little bit of short term money from a friend or credit card probably won’t help much in the long run. We’re well-aware that spending cuts and new incomes sources may not be enough at this point. Foreclosure is often caused by devastating circumstances that are far beyond these types of remedies. If this sounds like the case for you, you may need to ask your lender for a restructured payment plan. While every lender is different, many offer some means of lowering your monthly payments and giving you wiggle time to pay back your defaulted amount. (Remember, it costs them a lot of money to foreclose on your property!) As always, don’t forget to read the new terms very carefully and make sure you understand–and can keep your end of–the agreement. You’ve likely heard of taking out a second mortgage, also known as refinancing! This can save you even more than restructuring, and may be an excellent option for you. We recommend asking your lender first, as they might have special offers for current customers. Of course, shopping around for the best offer is always a good idea. If you do go with a different lender, ensure that everything will be done in time to stop the foreclosure sale and don’t forget to communicate to your first lender that you’re taking proactive steps to remedy the situation. If none of the other options are working out, you may need to bite the bullet and sell your property. Remember, if you’re going to lose your home either way, you may as well do so in a way that still provides some benefits to you. As always, communicate your plans to your lender. Let them know you are listing the property and plan to pay off the amount you owe them. Remember, even if they acquiesce to your request of delaying the foreclosure, selling a home takes time. This is another reason why it’s important to start making decisions as early in the process as possible. Needless to say, market your home to get the best price possible. Listing your property online is typically a great idea. If the foreclosure date is drawing near rapidly, you could consider working with an investor capable of closing quickly and even clearing up some of the original problems. Some investors even allow homeowners to continue living in the property and renting it from them after the whole ordeal is over! Hiring a skilled realtor who can close quickly is always an option as well. No matter which means of selling your home is best for you, make sure to review any agreements closely and make sure you’re getting a fair amount of equity. And remember that no matter how hard it may be, ending up with a little bit of money is better than no money and bad credit for ten years! This option is a last resort. It basically means what it sounds like: you are giving your lender your deed instead of going into foreclosure. The bad news is that you’ll end up with no money for the property, but the good news is that your credit won’t be damaged as severely. This option is typically only selected by homeowners who don’t have any equity in the property and weren’t able to make any of the other options happen. Facing a foreclosure is rough and most homeowners find themselves overwhelmed. Often, it can be helpful to have a professional on your side. A skilled real estate attorney can help guide you and offer valuable insight into your specific situation. Having someone in your corner who can help minimize your emotional and financial stress is certainly an idea worth strongly considering. Unfortunately scam artists tend to prey on people’s weak spots, so a homeowner in default is certainly a viable target. Don’t pay large amounts for counseling. If someone is asking for hundreds or even thousands of dollars, they are likely trying to rip you off. Most counselors who are approved by the Department of Housing and Urban Development offer no- or low-cost services. ONLY work with a HUD-approved nonprofit counselor. Be careful about what you sign. This point has been reiterated throughout the article, but is always worth saying one more time. This includes not letting a counselor pressure you into signing forms you haven’t had time to read, or letting him or her sign them for you. Be sure to consult an attorney before signing anything that transfers the title of your home! Be skeptical of guarantees. A guarantee may sound safe and secure, but usually it’s the opposite. A reputable counselor will never guarantee to stop the foreclosure process, because they simply do not have the power to do so. 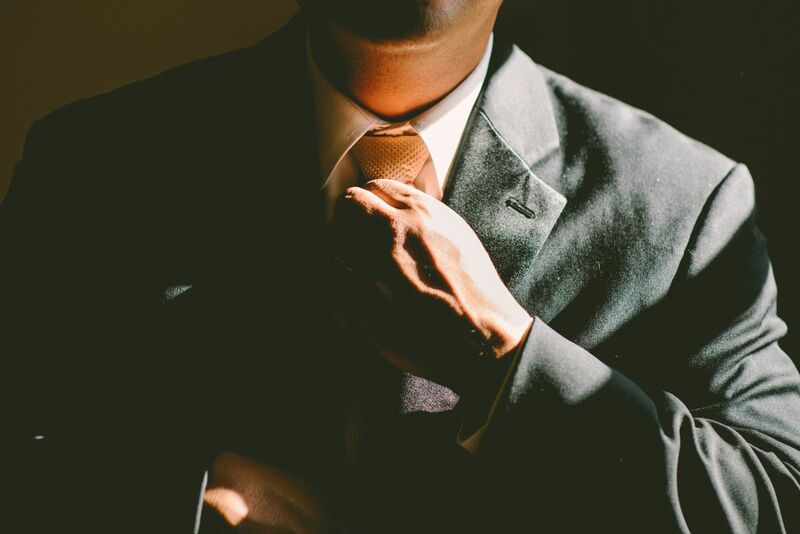 Though working with a professional will typically improve your chances of keeping your property, anyone pushing a guarantee may be a scam artist. Trust your instincts. If someone is promising something that seems too good to be true, it probably is. It is unfortunate that there are so many ways someone who is already suffering financially can get taken advantage of. However, by staying cautious and informed, you should be able to avoid falling prey to a scam. If you’re past the point where any of these (besides perhaps choosing a deed in lieu of foreclosure) can help you, you may want to look into a last minute strategy. These include filing for bankruptcy or filing a lawsuit. You can halt a foreclosure sale by filing for bankruptcy. Once you do so, an automatic stay (which prohibits your mortgage lender from foreclosing on your home) goes into effect immediately. However, your lender may file a motion for relief from the stay. This means they are essentially seeking the court’s permission to continue with the foreclosure. Filing for bankruptcy usually buys you a month or two, which in the best case scenarios, can allow added time to look at options with your lender. There are a couple main differences between a Chapter 13 and Chapter 7 bankruptcy. A Chapter 13 bankruptcy can help you keep your home by letting you repay your debts as a part of a repayment plan. Usually this will be over the course of three to five years. Some will need to be repaid in part and some in full. One of the benefits is that you will likely only pay a fraction of your unsecured debts and even potentially eliminate others, such as underwater second and third loans. This will free up some cash for your first mortgage. A Chapter 7 bankruptcy will not save your home, but it will delay the foreclosure proceedings long enough to live in your home for awhile without making payments. Though it’s not an ideal situation, you can use the time to save up some money for your future rent payments. You may also get lucky and still be able to work with your lender during this time to avoid foreclosure. You may also be able to stop or delay the foreclosure by filing a lawsuit against the lender. This is only possible if the lender is using a nonjudicial process to foreclose. Keep in mind this is not a possibility if the foreclosure has become judicial and you’ve already lost your opportunity to be heard in court. Remember, suing your lender is not something that should be done lightly. Lawsuits are expensive and if you lose, you could get stuck paying not only your own attorney but also the lender’s court costs and attorney fees. Facing foreclosure is an overwhelming and emotionally taxing situation, but try your best to think through your options, consult the right professionals, and keep your head above water. Remember, there are a variety of things you can do to save your home or at least come out ahead of where you would be after a foreclosure! You have already taken a proactive first step by educating yourself, which is a big step in the right direction.